Last month we went on a five-day skiing trip to Val di Fassa in the Northern Italian region of Trentino. The last few years we shifted from skiing in Austria to skiing in Italy, and that's mostly because we became real enthusiasts about all things Italian, but also because we find Italian slopes to be really well maintained, often wide and sunny, and then, there is this atmosphere of wildness, roughness and the sense of freedom that you get surrounded by bare rocky peaks of the Dolomites. When choosing a ski area, there are a couple of things we consider- the number of kilometers provided for the skiers, the position of the slopes (those that are laid on a sunny side having a great advantage) and the absence of the crowds. Lately, we also like if there is a nice little village or town in the valley, where we can take a walk, search for the local products, and have a cup of hot chocolate or a beer in the evening. That is why we chose to stay in Moena, and discover the ski area of Val di Fassa. 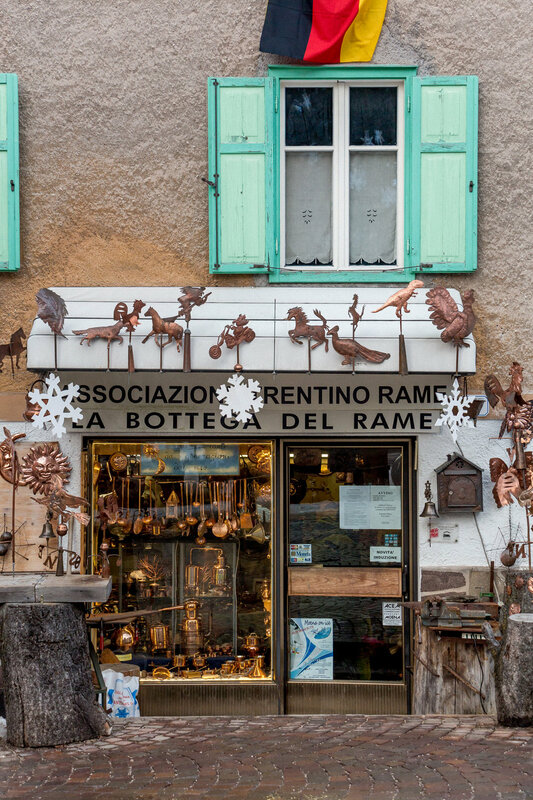 When we arrived at Moena, we took it slowly- on our first day we're usually too tired for skiing, so we went to the center, took a walk, browsed the shops with local produce- speck and grappa being the local pride. We tried a number of grappas in one of the shops (the guy behind the counter just wouldn't stop pouring them up! ), all made of fruit or plants that grow in the area, like pines, blueberries and even hay! It was early Sunday afternoon and all the bakeries were closed (us being us, we were hungry, and there were a couple of hours left until dinner at our hotel), so instead of buns, we had a delicious hot chocolate with nuts in one of the hotel bars by the river. Anyhow, we spent the next four days skiing, soaking in the sun, the views, the crisp mountain air. We would be so tired in the evening, that we'd fall asleep at about 10 p.m., whereas we usually never go to bed before midnight. The effect of fresh air and intense activity on city people, etc. :) Ski area of Val di Fassa comprises of seven different areas that you can reach from Canazei, Pozza di Fassa, Vigo di Fassa and Carezza, so we had the opportunity to discover new area every day, which was kind of cool, just to break the routine. From all those areas, the one above Canazei is the biggest, with most diverse ski slopes. If you feel especially fit, you can do a Sella Ronda, the most well known ski tour of the Alps- a circle around the Sella mountain group, where you can also explore the ski areas on the other side of the mountain (namely Arabba, Alta Badia and Val Gardenna)- we didn't feel that fit, the area above Canazei was just about enough for us. 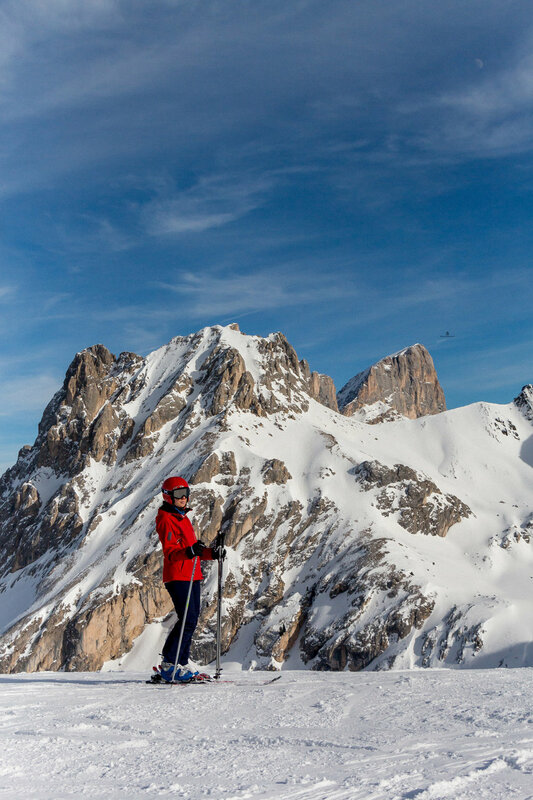 For a Sella Ronda tour, you do have to buy another ski pass though- Dolomiti Super Ski, a bit more expensive, but valid in 12 valleys in the Dolomites and well worth for advanced skiers. In Vigo di Fassa, we took a two-hour class with a ski-instructor, and that area was a perfect place to grind our skills. Without the crowds, with beautifully laid and well-kept slopes, we could exercise both our long and short curves. And our instructor was a real pro, that worked with Italian national team, and a nature enthusiast (from time to time we'd stop to admire a falcon's fly). :) We felt quite proud when he said that our technique really improved after two hours of training but we also had a muscle fatigue for the next two days! From all those areas, we fell in love with the one above Carezza- since it is a bit secluded, not that many people come here, and we had the wide, sunny, perfectly maintained slopes just for ourselves! We had a long lunch on the terrace of a ski hut, tasting local cheese and speck, drinking apple juice and beer, sunbathing in the deck chairs- it was our kind of day. What we especially liked about Val di Fassa is that the valley is situated so that it receives the sun until late in the afternoon, which was perfect for sun-loving, always-cold skier that I am. And then, there were these pink hued sunrises and sunsets on the rocky peaks, that we enjoyed so much. After five days in the mountains, we felt completely recharged, determined to come back, even just for the weekend. Any skiing tips from you guys? Favorite areas? A good recommendation can always come in handy! 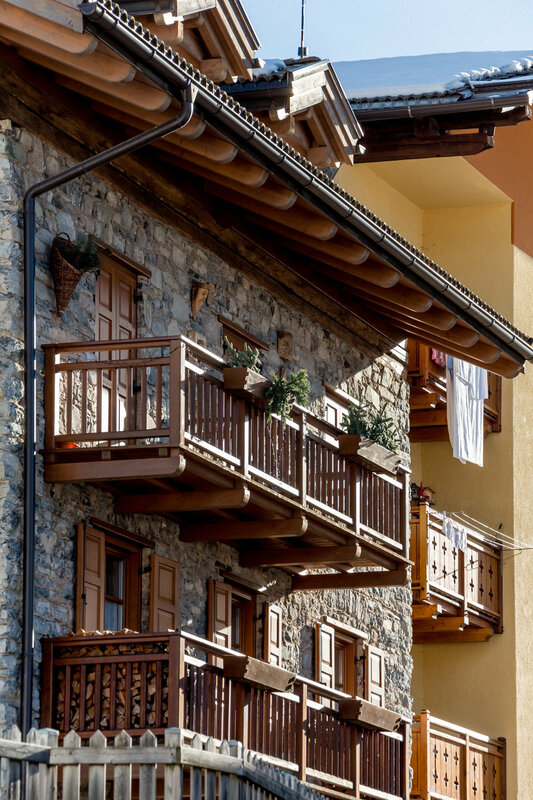 *This article was supported by Azienda per il Turismo della Val di Fassa. Here is a short video we made about skiing in Val di Fassa- it includes some beautiful mountain scenery, but also me crazy downhill racing (lol) and speaking bad Italian! Let me know what you think!